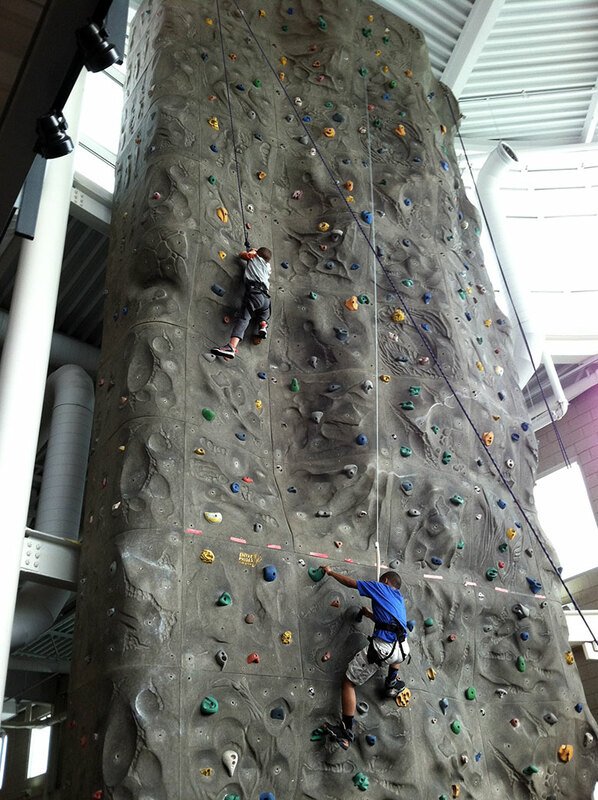 iCompete students participate in a rock climbing wall activity. In an effort to enrich and provide learning opportunities for students, the Township High School District 211 Foundation raises funds and sponsors grants for District staff. These grants help develop innovative ideas, programs, and practices that are not funded within the regular school budget. This academic year, the Foundation has awarded 41 grants totaling more than $31,000. 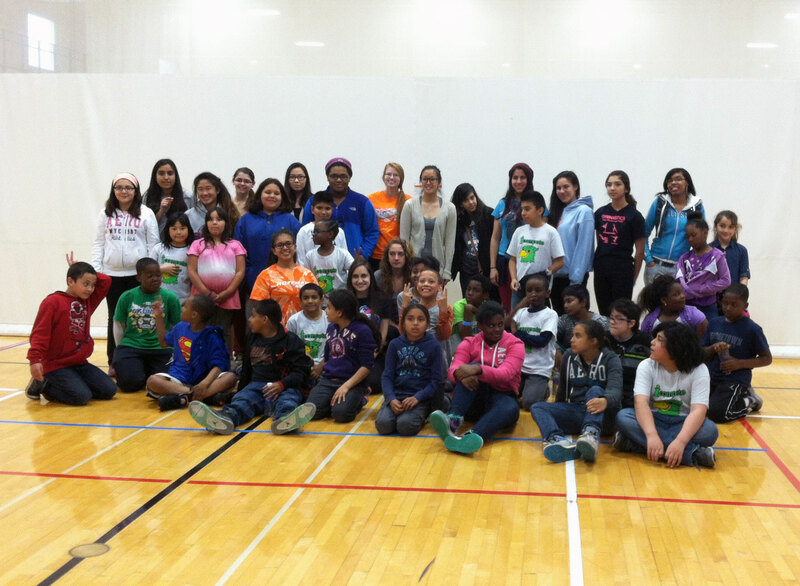 One program that benefitted from a 2014-2015 Innovation Grant is the Hoffman Estates High School iCompete program. High school student mentors in the iCompete program work with fourth, fifth, and sixth grade elementary students from John Muir Elementary School to provide positive learning and team-building experiences within the community. This is the second year the iCompete program is at HEHS, and is modeled after a similar program at Palatine High School. Up to 75 HEHS student mentors accompany the mentees to high school events roughly once a month. Ulrich said the Innovation Grant helps the program transport elementary students from their home school to HEHS, and back home at the end of the evening. Money from the Foundation grant also enables the program to feed students, some of who do not have access to nutritional meals at home. Lastly, the program provides mentors with t-shirts so they are easily identifiable at school events. Some of the iCompete mentors and mentees pose after an event. Ulrich said student mentors provided feedback that the program is beneficial to them and is something they look forward to participating in. Although the program only takes place in the fall and spring, Ulrich said they hope to expand it into the summer months. For more information about Innovation Grants, please visit the District 211 Foundation website here.